By 2040, 80% of city buses worldwide will be electric, according to a just-released report by the consultancy Bloomberg New Energy Finance. The big picture: China dominates the market right now and accounting for 99% of the market last year, according to BNEF. But EV bus adoption is expected to accelerate significantly in Europe and elsewhere by 2040. It's BNEF's first long-term forecast of electrification of city bus fleets. It's a deployment surge enabled by total ownership costs that will be generally more attractive than conventional diesel starting next year, and economics that will continue getting better. 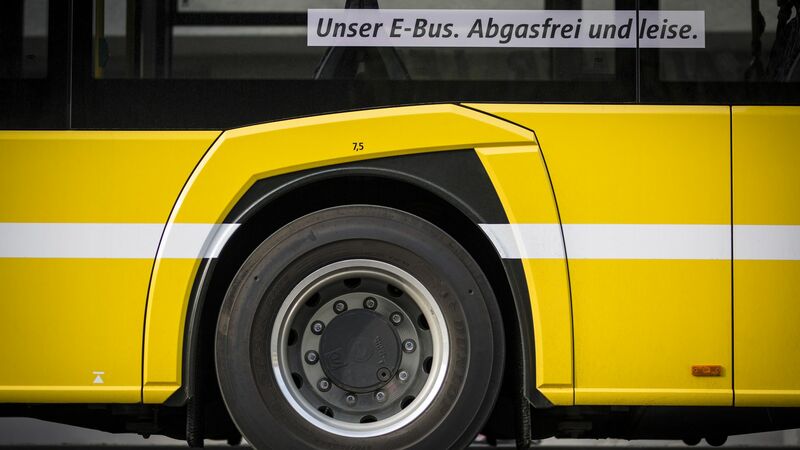 One level deeper: The new bus projection is part of their annual long-term forecast on electric vehicles. The new report's top line is similar to last year's — BNEF forecasts that 55% of new passenger vehicle sales will be EVs in 2040, similar to last year's 54% figure. That equates to light-duty vehicle sales worldwide going from one million in 2017 to 60 million in 2040. Supply chain risk: Tight supplies of cobalt, a key battery material, is a risk to EV sales over the next five to seven years. But longer term, "we expect high prices to bring on new supply and accelerate the adoption of new battery chemistries," BNEF said. The big picture: BNEF expects that the transition to electric cars and buses will add 6% to global electricity demand in 2040. However, electrification is projected to displace 7.3 million barrels a day of transport fuel that year.